This anti aging nutrition page is going to look closely at the relationship between processed food and aging. If you've read our anti aging diet page, you already understand that processed foods are pro-inflammatory and cause rapid aging. To improve the appearance of your skin and hair, you need to fully understand which foods are pro inflammatory, and which foods are anti-inflammatory..
Boxed, processed foods cause the face to lose its contour. The facial and neck skin take on a thickened, heavy appearance. Anything in a package causes aging. When food is broken down at a manufacturing plant or factory, it pre-digests the food. Your stomach is designed to break down complex carbohydrates. When you are eating pre-digested foods or simple sugars, this sets the stage for a very fast rise in blood sugar. 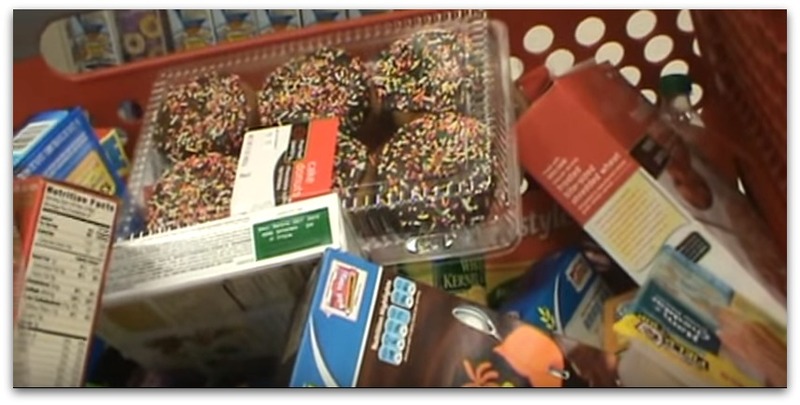 Bisquick, pancake mix, Pop Tarts, donuts, breads, rice cakes, white rice, ketchup, soft drinks, fruit juice, potato chips, Oreos, yogurts with added sugars, frozen french fries, tater tots, au gratin instant potatoes, cookies, cakes, Twinkies, Hamburger Helper-type products, frozen waffles, pizza are some examples. When pre-digested foods get into your system, there is nothing for your system to do. The food converts straight to sugar and shoots your insulin sky high. High insulin is a very dangerous, unnatural state for your body. When you have very high, uncontrolled blood sugar, it causes glycation, which is incredibly damaging not only to your skin, but to your organs. Out of control high blood sugar sets you up for Type II Diabetes. Uncontrolled diabetics are medically known to age much faster than the general population because of the constant high levels of sugar in their bloodstream. The pre-digested factory-ground foods also cause sub-clinical inflammation, which is well known to cause rapid aging. Click here for a detailed explanation on the effects of glycation. Click here to learn more about food processing. Processed foods cause low grade, sub-clinical inflammation, which is a well documented theory of aging. Processed foods cause aging through glycation. Processed foods cause aging because they don't provide nutrients to re-sequence misaligned DNA. Research has proven that cells need very specific nutrients to rebuild DNA cell mutations that occur naturally. Cancerous cell division is a normal activity in the total cellular dynamics of living and breathing. The right diet keeps that cancerous cell division under tight control. Anti aging nutrition can literally unscramble DNA at the base. Folate (found in leafy greens) is well known to prevent spinal birth defects in newborns. 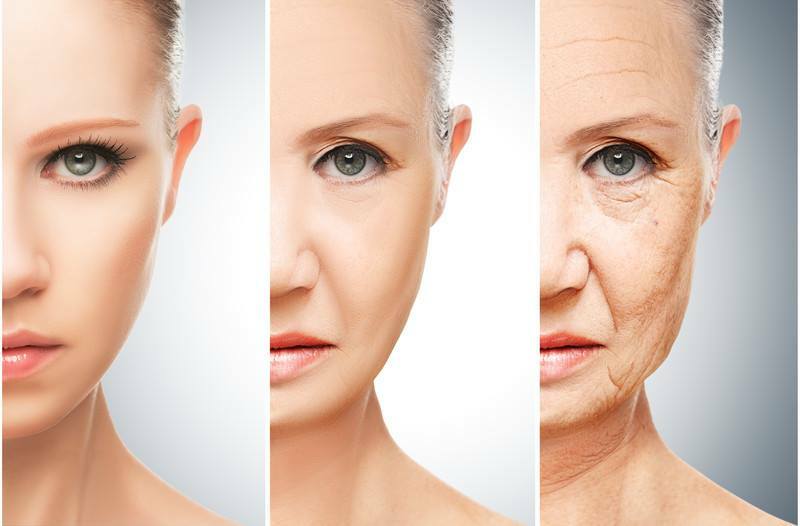 The definition of aging is the process of cellular breakdown mainly resulting from DNA damage or alteration. A chromosome contains two very long strands that house human genetic information. This genetic information is called DNA. The acronym DNA stands for Deoxyribonucleic Acid. DNA is a double-stranded helix that carries the genetic code. DNA is separated into 100,000 clusters called genes. Genes determine, height, eye color, and other human characteristics like the ability to resist disease. Genes contain thousands of nucleotides that come in four different shapes; Adenine, A; Cytocine, C; Guanine, G; and Thiamine, T. These nucleotides are aligned in a very specific order and are in perfect sequence. These nucleotides are aligned in ordered pairs along the coiled threads of DNA. The human DNA helix is very fragile. Just the act of eating, breathing and being alive creates free radicals. Free radicals knock portions of DNA out of sequence, causing alterations in genetic information. This is where aging and disease begin. When you eat fruits and vegetables, the nutrients they contain restructure DNA by cutting out the damaged genetic code, putting the correct DNA sequence back into the damaged segments, sealing the segments shut, and then carrying the damaged portions of DNA away. Nothing on this great earth works like the splendor of mother nature. Processed foods will quickly destroy the collagen matrix in your skin. Whole foods repair genetic material. Anti aging nutrition demands that we remove processed foods. Your skin and eyes will glow, and you will have gorgeous, thick hair. Sugar is the number one imitation food to avoid. Americans consume anywhere between 141 and 200 pounds of sugar per year. Sugar has a devastating effect on our biological systems. Sugar has no business being in our diets. Refined sugar is not a substance found in nature. Our bodies don't understand sugar. Sugar quickly destroys tissue. Click here to learn more about removing sugar. Eat heavy, dense green vegetation. 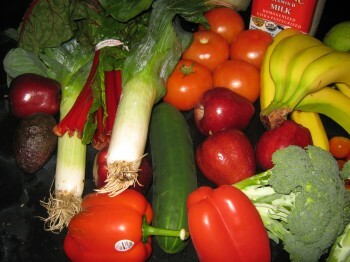 Drastically reduce or eliminate any and all processed foods. Eat fish, especially salmon as much as possible. Many people misunderstand fruit and put fruit in the same category as vegetables. Although fruit has tremendous value, we need to consume a ratio of 25 percent fruits and 75 percent vegetables. Fruit can dramatically raise insulin. Although insulin is a necessary hormone needed to push nutrients into cells, with the typical modern way of life, excessive insulin can quickly spiral out of control. For anti aging nutrition, keep fruit at 20 to 25 percent of daily intake so you don't stimulate too much insulin. Don't forget, insulin is a master hormone. If you excrete too much insulin, it can disrupt every system in your body, up to and including hair loss. Not fun. Vegetables do not spike insulin. And vegetables are so full of nutrients, food scientists have not been able to isolate most of them. Naturally-grown vegetables have sensational properties for anti aging nutrition and repair. Your skin will change, gradually at first, and then within about three months, you will see a significant improvement. Within six months, you will see a dramatic improvement. Within one year of nutritional deep tissue repair, you won't recognize yourself. I challenge you to take a picture of yourself now, when you start, and then take another picture in six months to a year. You won't believe the difference. And on top of that, your waistline will shrink super fast. Eat until you are comfortably full. When we are converting food to energy, free radicals are a byproduct of normal digestion. Constant overeating causes aging because our bodies create free radicals to digest foods. We know that free radicals are the number one precursor to aging. That's why many nutritionists and/or nutrition experts, such as Dr. Barry Sears' Anti-Aging Zone recommend calorie restriction. 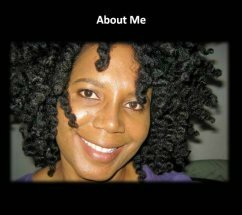 Click here to learn more about free radicals and aging. Dr. Perricone promotes the use of fish and salmon as an important part of an anti-aging diet. And he's right. When you eat salmon, it takes years off your skin and regrows thick hair. Click here for our page on the health benefits of salmon. Eat plenty of protein at every meal. When you deplete your body of amino acids, your body will tear down muscle tissue to get the protein it needs. In the words of Dr. Nicholas Perricone, "The day you don't eat enough protein is the day you age." Salmon brightens and tones your skin from the inside. Fish combined with vegetables are like a hurricane against aging. Aging won't stand a chance when you eat this way. This diet controls and reverses aging from the inside out. Learn how to identify whole foods here.